CCARD is a very dynamics group. Every Month we have new Team members joining us and some of previously experience team member move to industrial partner. We highly promote the Career resilience of our Team Members. Here are the list of CARD and Prof. Zarbakhsh Assistants, Research Team members and colleagues who are/were working in the projects. Alexandra Nitoiu is an active team member of CCARD working on multiple Laboratory projects, including Systems Design, Electronics, Measurement Automation and Bio fabrication. Sarath Chandran Mulluvila had completed his Master Degree in Mechanical engineering from National Institute of Technology, Tiruchirappally, India. He did an internship at Bhabha Atomic Research Center, Mumbai, India, in the field of Non Destructive Testing (NDT) and Simulation. His achievements include a paper publication on NDT and a patent application in the fields of Automobile engineering and Mechatronics. He has then started a second Master Program for the course of Systems Design (specialization-Mechatronics) at Carinthia University of Applied Sciences (CUAS) in Villach, Austria. He is presently working as the Assistant of Prof. Javad Zarbakhsh, and active member of CARD Research Group. 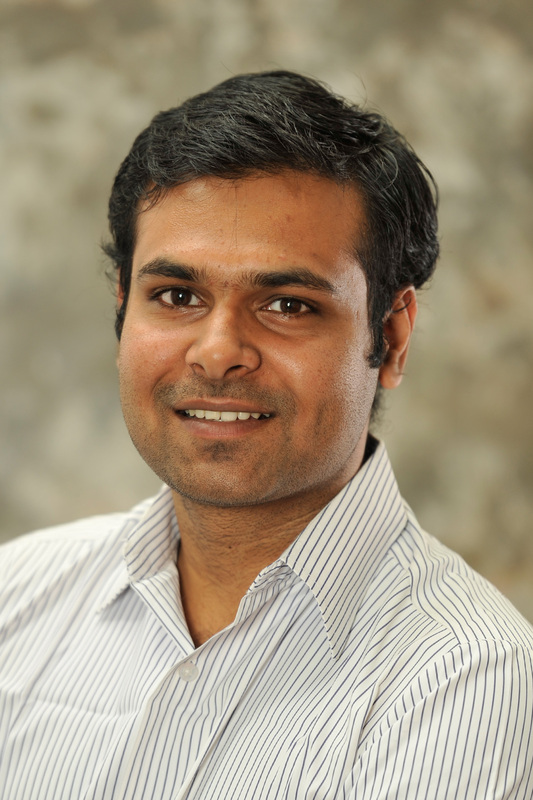 During multiple project collaboration, he has gathered practical expertise in fields of 3D printing, Simulation, FEM, Thermal Engineering, CFD, Automobile Engineering, CAD, Matlab, Non Destructive Testing, Ultrasonic Testing, Mechanical Design, Compressible Fluid Flow and Jet Engines, Manufacturing Technologies, Welding Technologies, and Material Science. Asfandyar Khalil is research assistant in CCARD, and interested in research in the fields of Internet of Things, Industry 4.0, Big Data and future technology. He is always found in laboratory while experimenting on data science, sensor networks and playing with Python. His software development skills leverage his efforts to solve problems with ease. Currently, he is working on a project of Smart Multifunctional Swarm robots. It’s a combination of Artificial Intelligence, Modular mechanical designs and robust electronics hardware. Narendra Singh is currently a research assistant at CCARD, working on multiple projects including areas of renewable systems like batteries and solar energy. He graduated in Mechanical Engineering from Rajasthan technical university in India. He has a strong background in the basic principles of engineering, methods and practices in mechanical system design. Also he has practical experience in CAD designing tools and MATLAB. Genbo Chen has been studying mechanical engineering at the Carinthia University of Applied Science. He graduated from Foreign Languages School Attached to Guangxi Normal University. During a number of Projects collaboration, he got numerous experiences in Fluid Dynamics Simulation using Blender, Autodesk Inventor, MATLAB, ANSYS and C++. He is currently involved in an strategic simulation and design project in cooperation with industrial partners. Nicolas Neumann-Micheau graduated as M.Sc. in Biomimetics in Energy Systems at CUAS after obtaining his B.Sc. in Biomimetics at HS Bremen, Germany. Always diversely interested, his strong educational background in Biomimetics allows him to pursue an interdisciplinary approach in problem solving , combining the fields of biology, material science, photovoltaics, renewable energy, nanomaterials, CAD and FEM. His research included the heat conductivity and insulation capabilities of tree bark as well as the light conducting mechanisms found in hermatypic stone corals and their potential as a solar energy material. His practical expertise ranges from material science (natural fibre compounds, high-tech ceramics) and CAD and FEM simulations (CATIA, SolidWorks, Ansys, MSC Marc Mentat) to book translations. After recently becoming a member of CARD, he is now combining his scientific background with his lifelong passion for photography in the field of scientific journalism. Milad is one of the researchers at CARD in the multidisciplinarz areas. Before joining CARD, he has attended the master program of Geophysics as a joined international master program between technical university of Munich (T.U.M) and university of Munich (L.M.U). With a bachelor of science in Physics he has a strong scientific background in natural science. He has worked in manufacturing and production industry for several years therefore he has a noticeable interest in different manufacturing methods and automation. He has also designed and fabricated several different Pneumatic systems for industrial work. He is dominant in working with Solid works, MATLAB, Blender, PLC systems, FESTO Fluidsim, Corel draw and corner stone. He is currently master student of Biomimetics and focused on research in the area of Biomechanics and biomaterial which are two interesting fields of his future research and scientific activities. Waseem Ahmed, has graduated as a Master of Science in Bionics/Biomimetics in energy systems at CUAS, he obtained Bachelor of Science in Mechanical Engineering from osmania university India. He has a strong background in the basic principles of engineering, methods and practices in mechanical system design, testing and troubleshooting mechanical equipment. Also he has practical experience in using FEA software and advanced CAD designing tools. He has pratical training in fields of project management and HVAC obtained in advanced training institute India. During his master, he has learned about nature’s way of dealing with problems in various fields like structural mechanics, light weight design, Nano surfaces, heating and cooling and non-technical fields like process analysis, process optimization (basic knowledge of genetic algorithms) feasibility studies. His technical skills includes FEM, CAD, Matlab, C, Java, Catia, SolidWorks,Inventor, AutoCad. He has also practical skills including welding, metal fitting, smithy, manual lathe operation. Philippe Becquet started his studying career in Theoretical/Fundamental Physics, following a Bachelor Degree at the University Paris 7 – Denis Diderot. After graduation, he moved to Villach, Austria, to study the Master Degree “Biomimetics in Energy Systems”, in which he found a more applied and “useful” approach of studying sciences, having Nature as a central source of inspiration for research, technology and innovation. His tastes for travelling and discovering new cultures brought him to several countries in Europe, as well as Taiwan and Japan. His expertise are no longer in Physics only, for he does not like to “limit himself” to one field of science, but value more an interdisciplinary approach instead, combining Physics, Biology, Chemistry, Renewable Energy, Material Science, Computer Simulations, etc. Recently becoming member in CARD, he is now working on a 3D printable temperature-responsive water valve. Martin Trojer, studied mechanical engineering at the Carinthia University of Applied Science. He has previously attended the technical college for mechatronics, and passed several months Training in Miami / USA. He has experiences of working with several companies in the field of mechanical engineering. He has practical experiences in CAD Software, construction of special machines, creating technical documentation, and performing authority approvals of machines. He is currently a Member of CARD research center, working on development of a Filament Maker and Composite Materials for 3D Printing. Mohamed E. A. Esbaie, MSc. Mohamed Ebrahim Abdulrasool Esbaie, graduate of Engineering in Electric and Electronic Engineering from the University of Sheffield, England as well as Biomimetics/Bionik in Energy Systems from Carinthia University of Applied Sciences. His Skills and Experience includes 5+ years Environmental & Industrial surveying; work experiences on automation and self-adaptive surfaces; a several voluntary years of experience with specialized education & alternative curriculums. He has been working on multiple CCARD projects including Rapid Prototyping of Biomaterial. Dimitris Kalamaris is our Expeet in the area of electronic Systems Design, LabVIEW. He is currentlyi involved in a project with an Industrial Partner in the area of LabVIEW and System Development. Denis Jurascheck graduated as a procedure mechanics for plastic and rubber technology, Hanau, Germany. He has completed an education as a certified technician for mechanical engineering, in Butzbach, Germany, and a certificate degree for quality management. He has studied mechanical engineering at the Technische Hochschule Mittelhessen in Friedberg Germany, as well as in Carinthia University of Applied Science, Villach. He has experiences in the areas of Laboratory Systems, Production and Manufacturing, and currently working on development and Application of a Filament Maker and Composite Materials for 3D Printing.